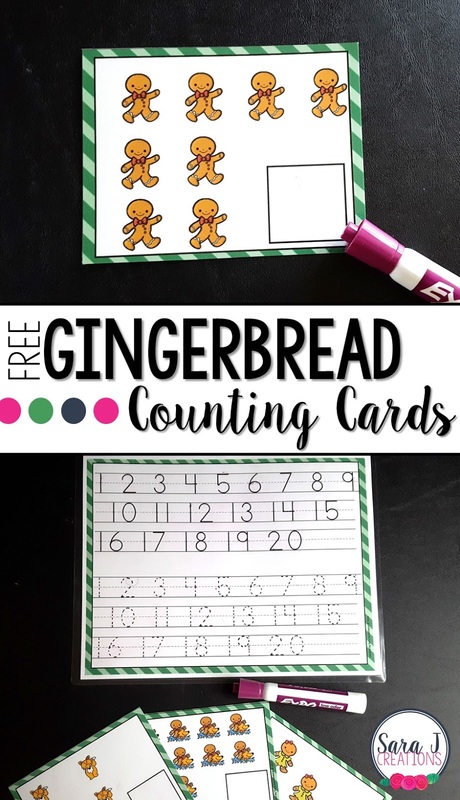 After having so much fun with our donut counting cards, I decided to make a gingerbread themed set with numbers up to 20 this time. I also added in some additional number writing practice since this was the area that was a bit of a struggle last time. I made a reference sheet that included numbers 1-20 and then had a spot to trace each number. I had my daughter use this first before we worked on any counting. She practiced tracing all the numbers twice. Then, we started going through the cards and counting the objects. She would write the number in the box. Those tricky teens were still giving her troubles. She can count that high but doesn't always recognize the numbers. Definitely a skill we need to keep practicing. She loved the characters on the cards and making a dot by each object to signify that she had counted that one already. Too cute! I've included this set as a freebie for you. Just print and laminate to make the cards reusable. Then use a dry erase marker, a vis-a-vis marker, or crayon. 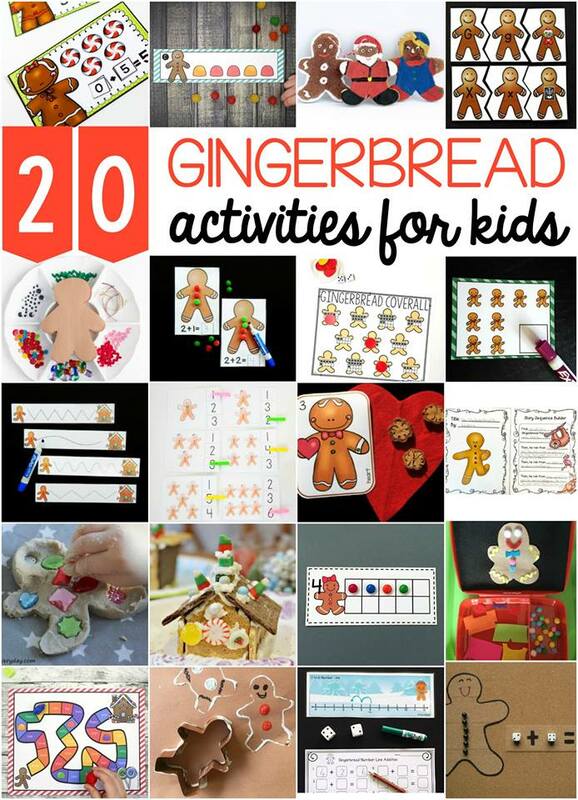 Check out some of my blogger friends and their gingerbread themed ideas for making learning with little ones more fun! Great activity for those early finishers, thanks! You're welcome! Glad you can use it!